The pool at Coral Gardens. Coral Gardens Resort is located at the Bight Reef, which is one of the finest beach snorkelling sites on Providenciales. This luxury resort offers one, two and three bedroom suites, and has two pools and a fitness centre. 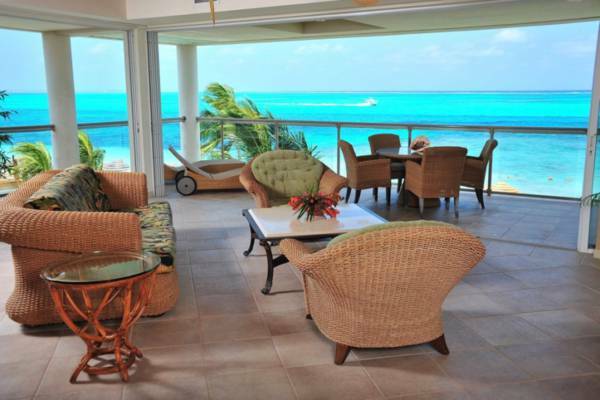 The spectacular ocean view from a Coral Gardens suite.